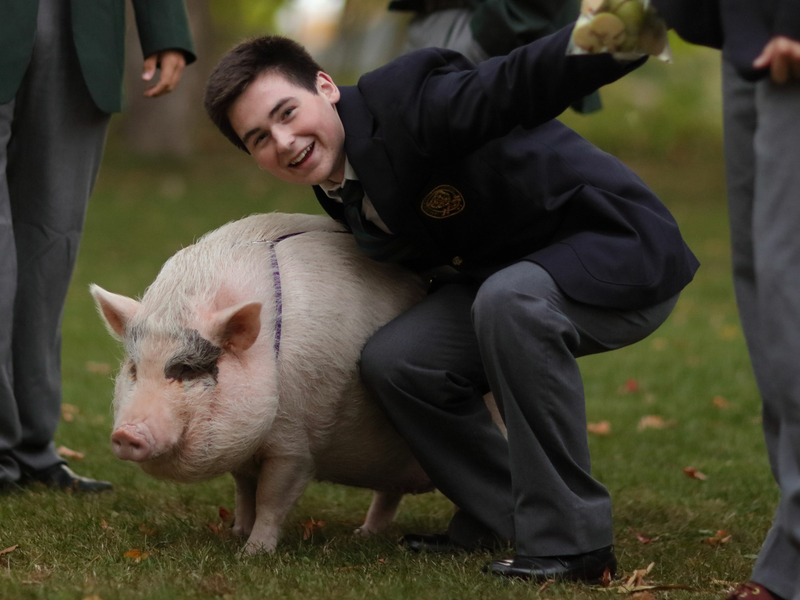 On October 6, students and staff gathered together in honour of Thanksgiving to enjoy a formal dinner, Chapel service and to participate in the Blessing of the Animals. With the Feast Day of Saint Francis of Assisi - the Patron Saint of all creatures - falling so closely to the date of Thanksgiving, it has become an annual tradition at LCS to honour both occasions at once, offering both thanks and blessings. This year, a wide variety of furry friends accompanied their owners to Chapel. The assembled masses were in the usual festive and happy mood. With some accompaniment from the visiting creatures, the Grove community offered up several hymns of thanksgiving, sung with full gusto. Matt Williams '16 and Johnathan Prestwich '16 made this video to recap the event!